What's life like with hair extensions? That's the number one question people have been asking me ever since I got them. I haven't felt this good in a long time, it's a wonder how much great hair can make a difference on your outlook in life. I feel younger and much more attractive. It doesn't matter if people see it that way, the important thing is that I do and it helps me face the day with a positive outlook. Keeps my back straight and my chin up! I used to only dream of having hair this long. I tried many times to grow it out and the one time I got close, a salon butchered it and I had to chop most of it off. I tried to make the best out of the situation and had fun coloring it in a variety of colors instead but I was never truly 100% happy. Deep inside, I have always been a long hair girl. It definitely takes some getting used to. Going to bed when your extensions are new can be a bit uncomfortable but nothing unbearable. The glue used is still hard and you can feel it under your head, you get used to it after a couple days though. Shampooing is pretty much the same but brushing your hair is a different story. You have to be extra careful and its best to just fingercomb although you can still use a hairbrush be careful not to get it caught where your extensions connect with your natural hair. When it comes to hair extensions, there are crazy cheap ones, super expensive ones and those in between. Not too cheap, not too expensive. If you're not familiar with their work, it's best to stick within the mid-priced bracket. Out of people I've interviewed and based on my personal experience as well, I can attest that HairShaft Salon gives one of the best Hair Extensions at the mid-priced bracket in our country. I had mine done by Fred who is quite the expert at it and is also responsible for the extensions, cuts, and colors of many local celebrities as well. He studied and trained under expert supervision in Italy to provide one of the most natural looking hair extensions in the market today. The whole thing takes several hours but you won't notice the time going by due to the immense excitement you will feel at the shocking transformation. (I personally couldn't believe what I saw, it looked so real it felt like magic). 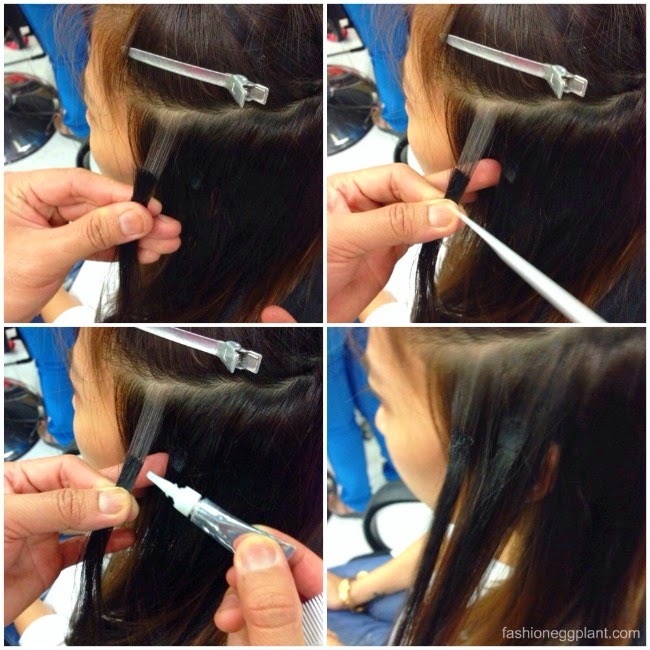 Once he's done attaching the extensions, it's time to cut, color and style! 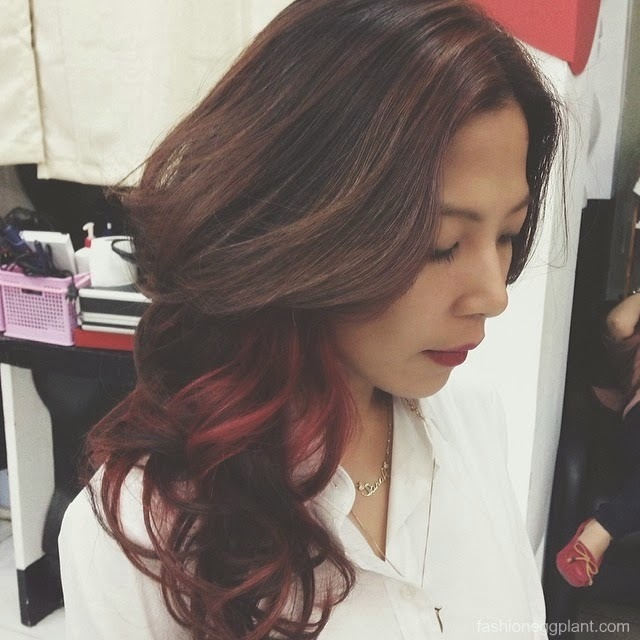 I chose a balayage with red highlights...that's another thing with HairShaft, unlike other salons, they are up to date with trends. They make it a point to know about the latest hair techniques so they can fulfill all of their clients whims to come up with perfect "Dream Hair" all the time. They don't take it lightly, in fact HairShaft is the only salon I know of that goes to great lengths to duplicate your peg exactly. I had a hard time believing it was me when I first saw that picture. My hair has never looked this good ever. To say I was thrilled is a total understatement. It's been about a month since I first got them but I can't imagine my life without extensions anymore. Oddly enough, I feel more like myself with them on. 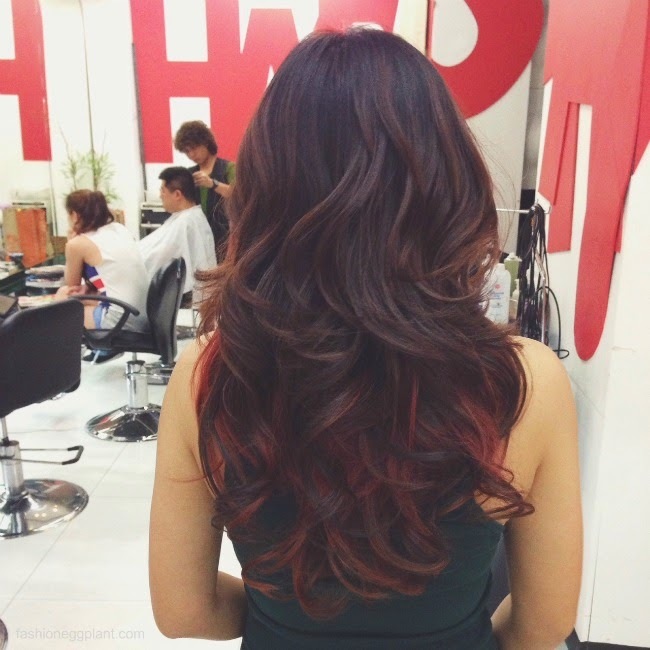 Next time you're in the mood for a makeover, try HairShaft salon. They provide premium service and skills at really affordable price points. 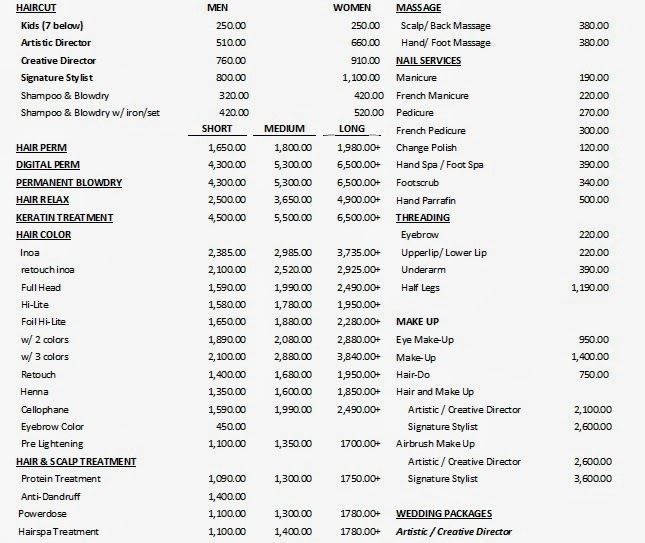 For more info, LIKE HairShaft Salon on Facebook or visit them at the 3rd floor of Podium. gano katagal po yan magstay? bawal basain ng tubig? thanks babe! i havent seen you in too long!